The JetMarker PHC is a high performance unit designed for speed and flexibility. Inside each PHC are two electronic boards. One board is for power and fire curve generation controlling up to four individual curves. The other board contains a 500 MHz CPU for image processing and a FPGA dedicated for time critical operations. Connecting those two boards is a smaller bridge board that connects with Dimatix print heads; changing only this bridge board and updating the firmware makes it possible to use future print heads. The image processing CPU has memory for one image of a total length of approximately 30 meters at 200 DPI, or 30 images of 1 meter. Doubling the DPI will half that number. 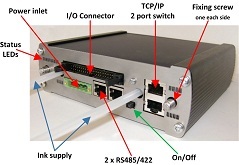 Also included in each PHC is a 2 port 100Mbit TCP/IP switch for easy UTP cable daisy chaining. Build in temperature control for the print head attached, the master PHC can be assigned to control ink tank temperature etc. The PHC comes in an aluminum casing with fitting screws for easy assembly and replacement; protecting both the electronic boards and the print head circuit and thus preventing damage during handling. The PHC system is delivered with the JetMarker Print Head Solution (JPHS) PC application. This application is used for setup and configuration of the system. Basic operations such as calibration and prints can be made with the JPHS. JPHS is developed for integration with third-party software and provides an application interface (C# class library) that is to be controlled by your system. 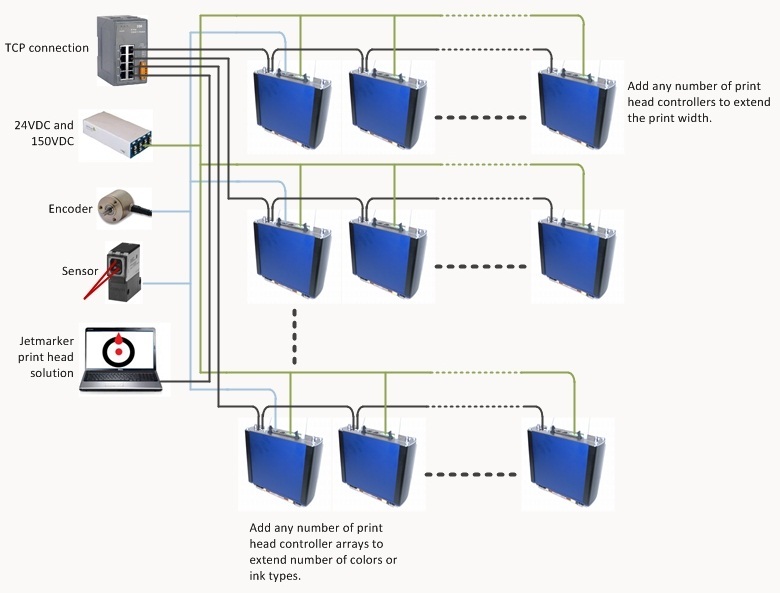 This interface can control the print heads and receive images for print out. The application interface receives images for each color and automatically distributes the correct slice of that image to each print head controller (PHC). Hereafter it is up to the specific requirements of your system. Each PHC is an autonomous printing device having no knowledge of any other PHC’s in its vicinity. The print width can be expanded to any width needed also the number of colors/inks is variable to any degree. 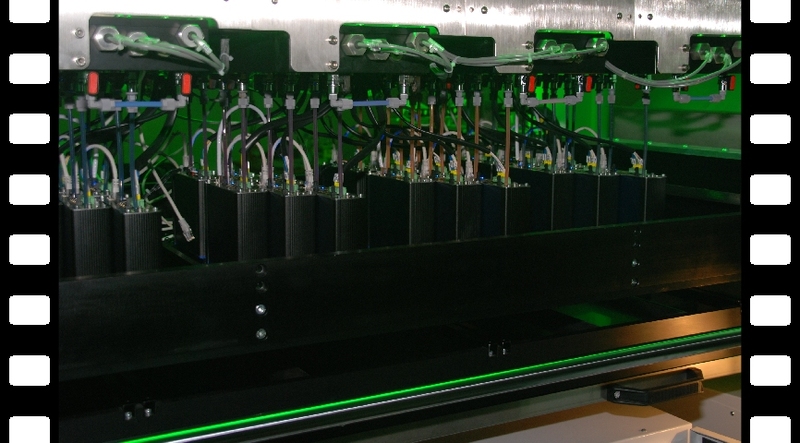 The JetMarker Print Head Solution will take care of distributing the correct configuration and data to each PHC. With any PHC a software application for configuration and controlling the system is delivered. 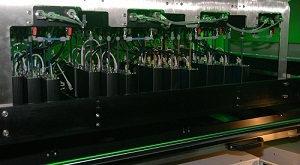 It is called the JetMarker Print Head Solution and besides configuration it provides basic printing facilities. It runs as a server enabling third-party clients to connect to the PHC server from any location. 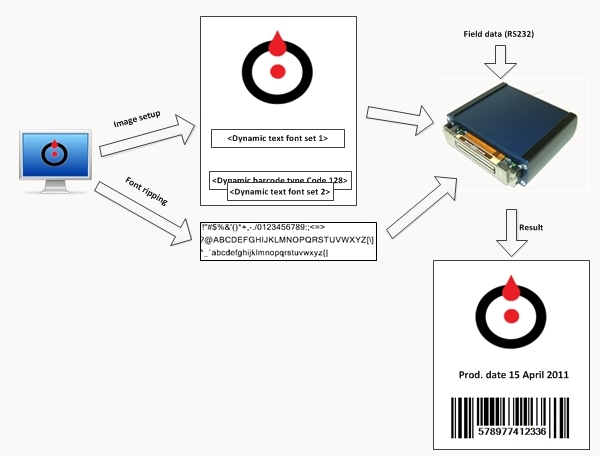 The PHC also supports dynamic fields that can be changed between each printout either via the JetMarker Print Head Solution or a direct RS422 connection to a PHC using the RS232 protocol. Each PHC supports up to four dynamic fields that can be either a barcode or a text. These fields are then joined with a static background image residing in the PHC.